Apple Unveils The iPad 2 And The Reasons I Will Not Be Buying One!!! The much anticipated Apple conference for the new iPad launched today. It is called the iPad 2. Now I love Apple. I am a big proponent for Apple and their products. I use Apple products for personal and business use everyday. They simply are the best. Now with that said, with the launch of the new iPad 2 only days away, I’m not that excited about their upgraded product. Steve Jobs surprised everyone by showing up at the iPad Apple conference today. Recently he took another leave of absence from the company due to I think was medical concerns again. But he none the less showed up and looked normal. Everyone was glad to see him up on stage again. One of the first things Jobs talked about was that Random House Publishing is joining iBooks in bringing over 17,000 titles their way for download. This is pretty cool and will definitely be used. Glad to see this. Then they got to the real part of the conference. 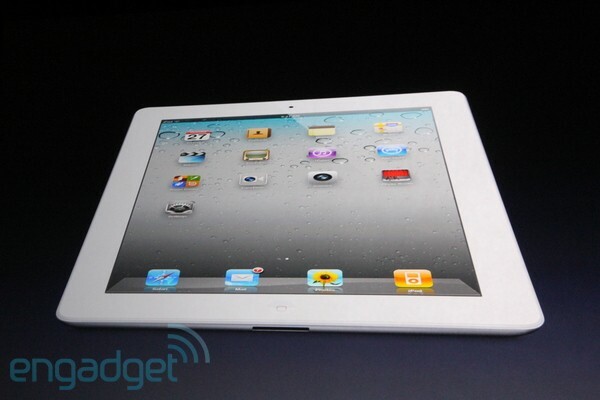 Unveiling the iPad 2. Now when I go into wanting a new product, I expect upgrades to be more like the ones I mentioned right above. I will not be buying the new iPad 2 because it did not increase its hard drive space, not does it have a usb port, and they did not increase the battery life. I feel like they rushed this new product out just like they did the iPhone 4. When they upgrade the hard drive space is when I will seriously consider buying this product. Until then all the iPad 2 is the same old iPad but with a 2 added to it. This is of course only my opinion. They ship out March 11th. Apple’s iPad and Apple TV Conference 2012!!! Apple WWDC 2012!!! The Good, The Bad, The Ugly!!! New OSX Lion!! New iOS5!! New iCloud!! Apple’s WWDC 2011 Review!!! This entry was posted on Wednesday, March 2nd, 2011 at 3:15 pm	and is filed under Events, News. You can follow any responses to this entry through the RSS 2.0 feed. You can skip to the end and leave a response. Pinging is currently not allowed. « Comic Book Releases For the 1st Week Of March!! !